Went down Sarf of da Rivver this afternoon to make my pilgrimage to the shrine of contemporary Art that is white Cube Bermondsey. I was not alone. Such is the pulling power of Tracey’s celebrity. In the 9 x 9 x 9 room there is the best work on offer – a series of embroidered canvasses of female figures at life size or larger rendered in a black yarn. 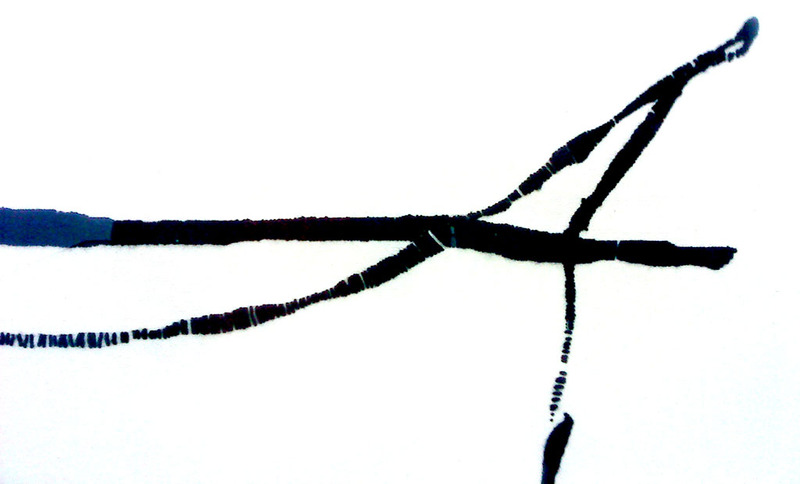 I am not sure of the exact technique of the stitching, but it makes an interesting surface and there is a tension between it and the drawing it describes. There was a hint that Tracey might just deserve a footnote in the story of life painting. They were not boring or predictable. Sadly the rest of the show is both those things. A line of paintings stretches down the main hall. They are all female nudes in a kind of blue colour on white, all done seemingly from life, seemingly very fast. In walking past them at normal speed I felt as though I was paying about as much attention to them as Emin had. They are all the same size, shape and subject matter. There is nothing really to tell them apart. They are effectively multiples: vacuous standardised commercial product. If it wasn’t on the plinth you wouldn’t tread on it. In the main room there were more paintings with slight variations, a couple of neon slogans and some er…bronzes. 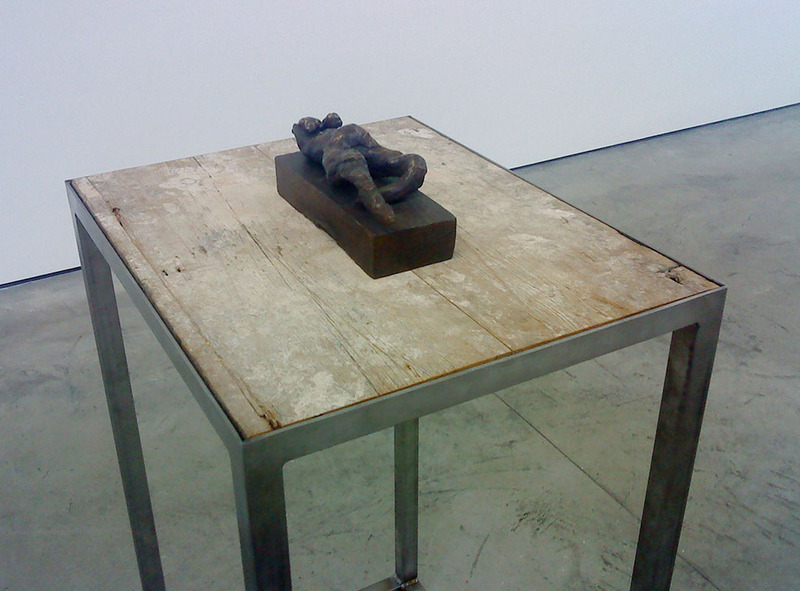 Bronze figures, mostly reclining on rather self-conscious plinths. These were especially pitiful. That a supposedly ground-breaking and iconoclastic modern artist should be making these at all is perhaps surprising. 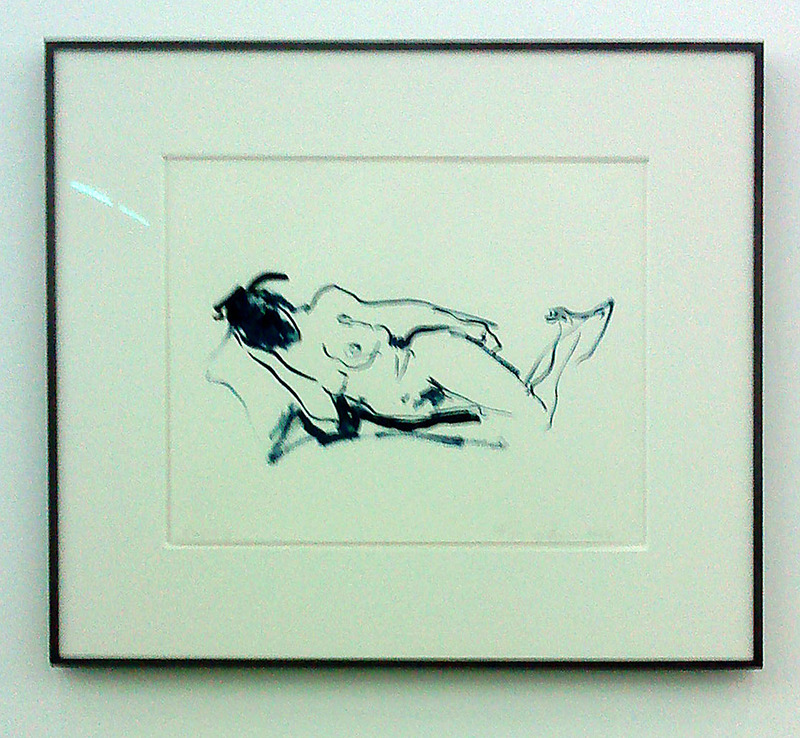 In working in such a traditional way Emin invites comparison with the art of the past – with Matisse, Giacometti, de Kooning. Any comparison with them is not going to be in her favour. Sculptors fought hard to get off the plinth – to use space as well as form, to reduce the distance between art and the viewer to get rid of an uneccessary prop. To put it back is a reactionary statement that feels market led. To put back a small army of mediocre bronze turds on plinths is pretty much unforgivable. This entry was posted in Art, British, Contemporary, Galleries, London, Painting, Sculpture, Uncategorized and tagged Art, Bermondsey, British, Contemporary, contemporary art, Cube Bermondsey, entertainment, London, Painting, Sculpture, Tracey Emin, White Cube, White Cube Bermondsey.